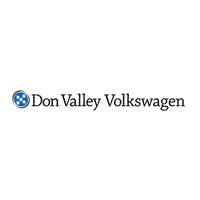 Don Valley Volkswagen Service Department is the only repair and service facility certified by Volkswagen Canada in all of North York. All of our technicians are factory-trained, and thoroughly understand the inner workings of your vehicle. From basic oil changes to extensive repair work, Don Valley Volkswagen is fully equipped to give your vehicle the treatment it deserves. We perform all repairs with genuine Volkswagen parts, and our work conforms to VW Canada’s strict standards. Like you, our technicians are Volkswagen enthusiasts who are passionate about their craft. They use specialized tools and have direct access to factory resources and the latest repair technologies. Our service and repair jobs are quick, affordable and fully customizable in line with your needs. We offer free shuttle services with bigger maintenance or repair jobs, and will even provide you with a rental Volkswagen upon request.